If you’ve fallen behind on payroll taxes and are now facing a bill from the Internal Revenue Service, trust us when we say that ignoring it will not make it go away. In fact, when it comes to unpaid payroll taxes, the IRS tends to come down on taxpayers much harder than they do with unpaid income taxes. That is why you do not want to face a revenue officer without representation when they inevitably come knocking at your door. There have been many instances in which the IRS has gone as far as closing down a business or even sending the owner(s) of said business to prison for back payroll taxes! Before doing anything else, call Ayar Law and ask to speak to one of our skilled attorneys. We have handled many of these cases before and can work with the IRS to ensure that you get the best option available for your particular case. There are a few options available to you if you do find yourself in an unfortunate situation such as this. As we have iterated before, unpaid payroll taxes are nothing to scoff at. Do not make the mistake of thinking that the IRS will simply look the other way if you just ignore it. Back payroll tax problems get much worse the longer you put them off. If you have an issue with unpaid payroll taxes, do not hesitated to call. 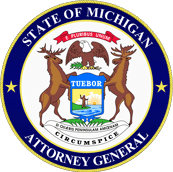 Michigan Tax Attorney Venar Ayar will personally talk to you and give you free advice.